Elizabeth joined the Title IX department June of 2017, serving as the full-time Training and Prevention Specialist. She is available to provide and coordinate trainings, presentations, group discussions and additional resources around the prevention of sexual assault and interpersonal violence, including Title IX policy, procedures, and resources available. Elizabeth works on campus to lessen the stigma and challenge the stereotypes surrounding power-based violence. She also advises the It's On Us Student Advisory Council in addition to the Sexual Assault Advisory Board. 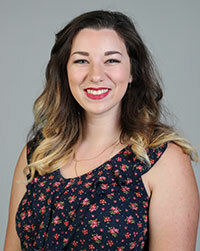 Elizabeth has received her Bachelor of Science Psychology from Oakland City University. Prior to serving at Baylor, Elizabeth was a Victim's Advocate at the local Advocacy Center for victims of abuse, Albion Fellows Bacon Center, in Evansville, IN, where she not only assisted victims through the legal processes of reporting, but also engaged in community education and violence prevention in both Evansville and the surrounding counties.